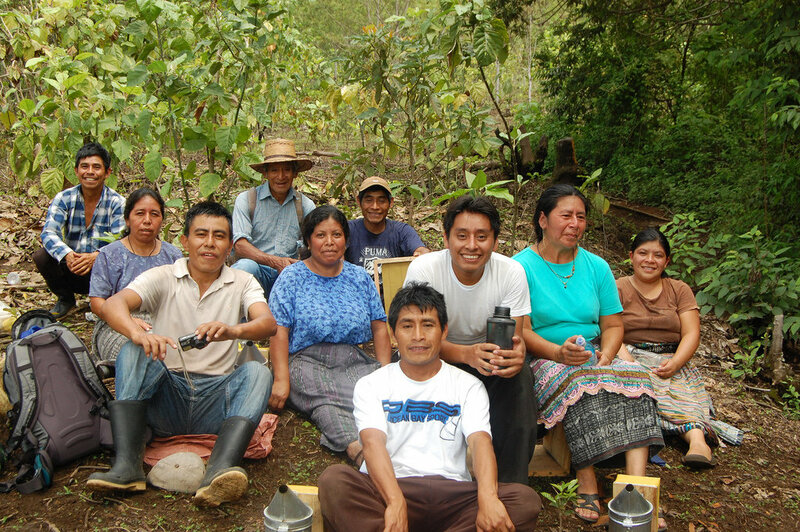 We provide impoverished coffee farmers with the tools, training, and support necessary to earn extra income through beekeeping. Our project helps more than 20 farmers provide for their families despite a national coffee crop loss of nearly 50% this year due to "roya," a coffee plague sweeping across Guatemalan farming communities. 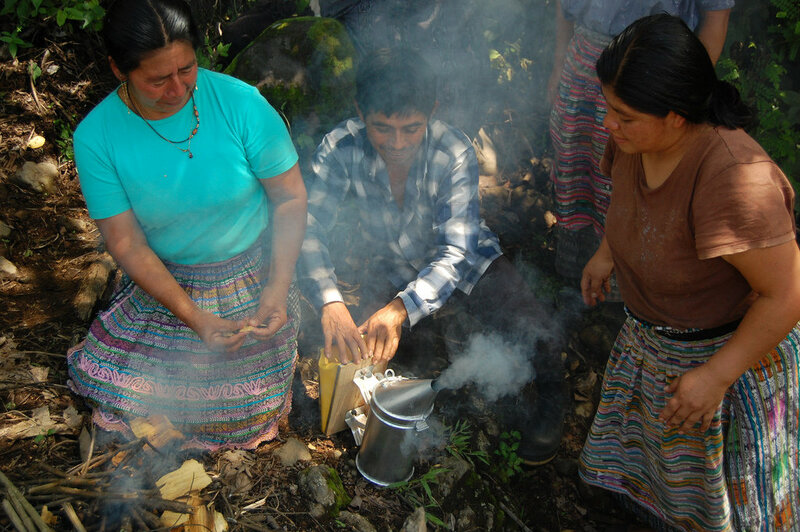 75% of Guatemalan coffee farmers rely on coffee as their main source of income. During "the thin months" between harvests, incomes dwindle and farmers struggle to feed their families. Now a coffee-rust plague called Roya is spreading rapidly across coffee farms, destroying up to 50% of crops and harvests. Without access to diversified income sources, coffee families in the region face economic insecurity, food scarcity and malnourishment. 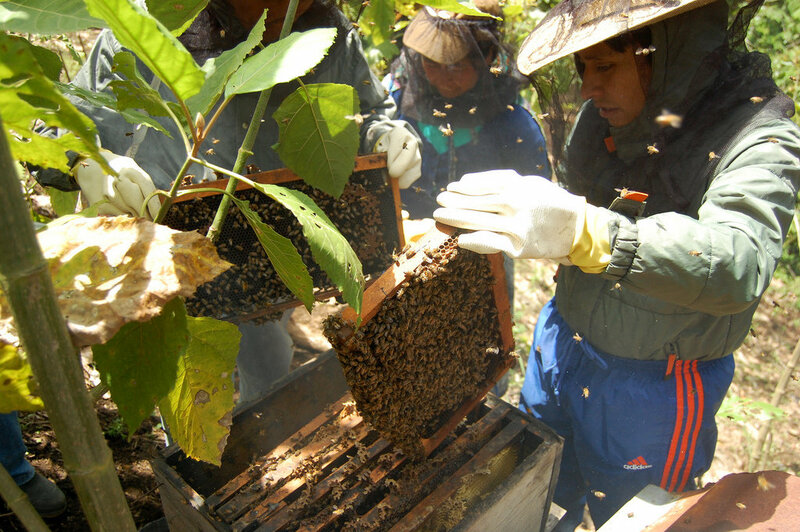 This project provides comprehensive, skills-based training in beehive management and high-quality honey production for local coffee farmers who lost significant portions of their harvest due to Roya. Each group receives starter hives and basic beekeeping tools, including the initial raw materials needed to build hive boxes, frames, and stands. 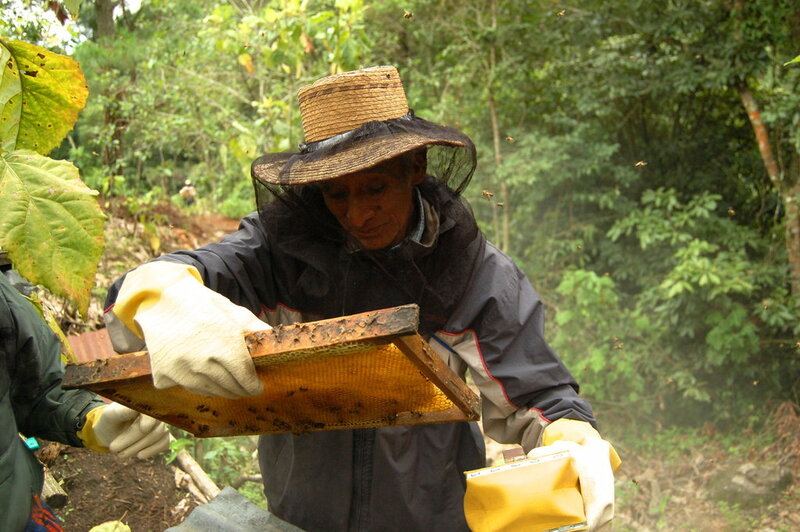 Easy to start and maintain, beekeeping is an ideal income generating activity for local coffee farmers. All resources for beekeeping can be sourced locally, providing financial benefits for the greater community, and hives can be installed in convenient locations, making it easier for farmers to tend their bees during their free time. The honey produced from the hives will be sold for profit in local cafes, hotels, grocery stores, and restaurants, thus generating a reliable income source for local coffee farmers and their families.